As the sun sets in our neighbourhood (near On Nut BTS) the street vendors start to set up their stalls of clothes, sunglasses, electronics, and much more. The streets start to hum a little louder with people returning from working and wandering the streets on the hunt for dinner or something else. Evening is a great time be out in On Nut you get to see a different side of the neighbourhood, its a little cooler than during the day and the On Nut night market is open. 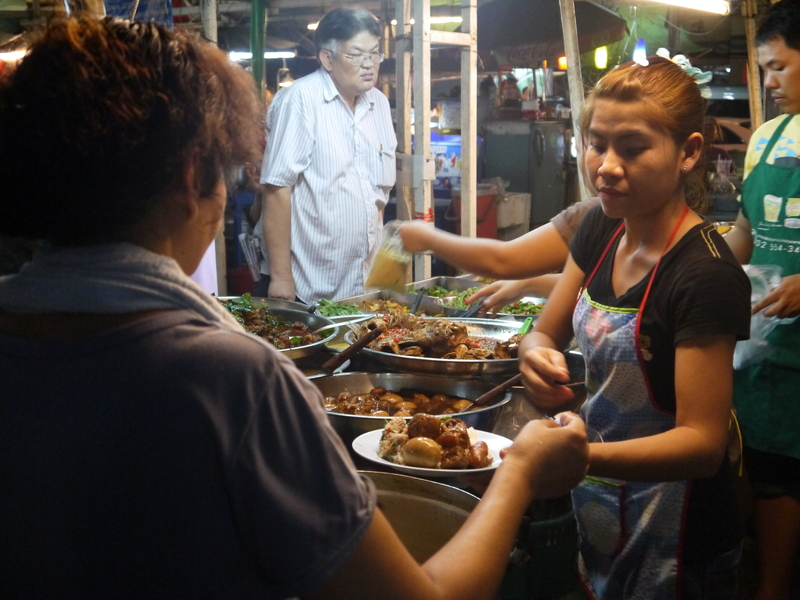 The night market is near the On Nut BTS and opposite the Tesco Lotus. 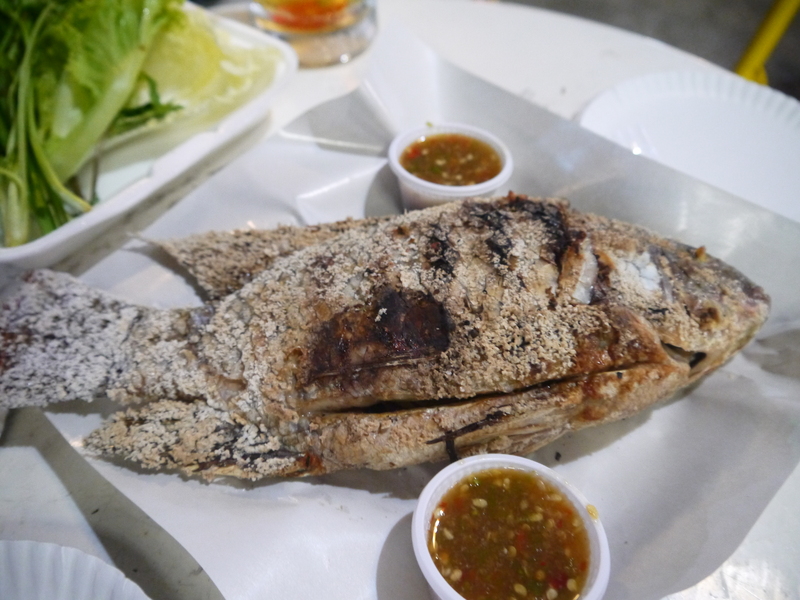 It has live music most night, all kinds of food from Thai staples, to Japanese sushi and Western fare. 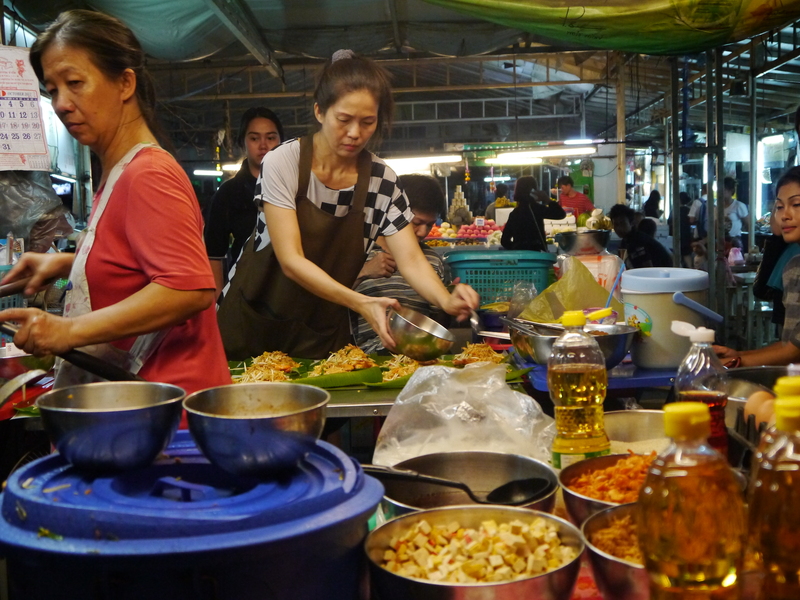 the Pad Thai, which is only made in bulk so you have wait for another 10 or so people to order. Although this is easily the most popular place at the market so you never wait too long, unless you are in the third batch. 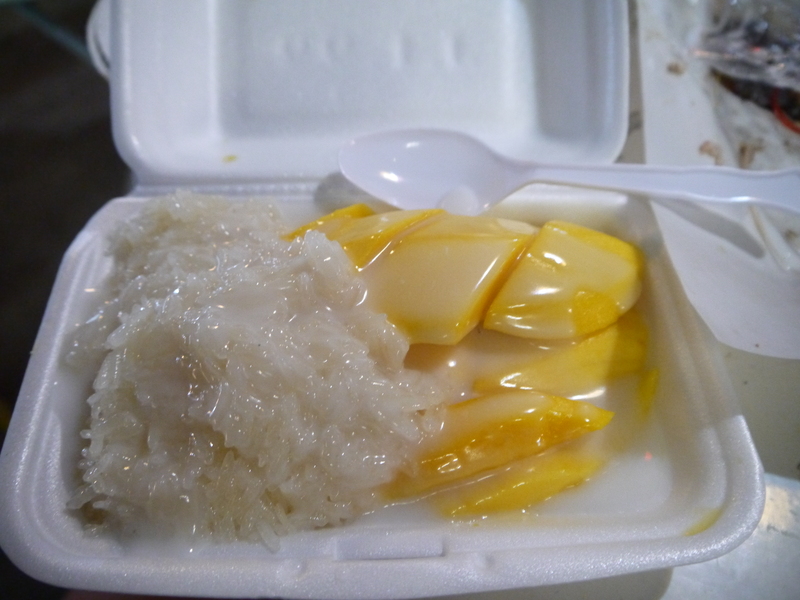 the Mango Sticky Rice. Also one of our favourite desserts, I always seem to have a little more room for this. 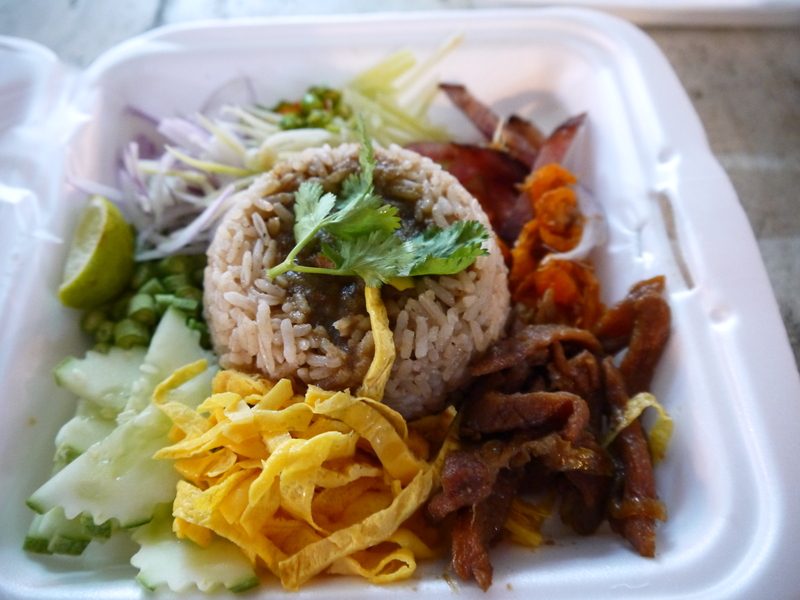 the Rice with salad ingredients, pork and shrimp paste (known in Thai as Khao Klook Kapi), a light and refreshing dish. Also they have some really good hot chips and sushi. There is so much more to try as well, that I’m sure this list will get longer and longer. Our favourite night so far is Monday when the live music is pretty good, and we’ll often sit around a little longer with an ice cold beer and listen. « Monday Madness – Island holiday: with chores included?